The news of a trail runner’s death in la Grand Raid 100 miler (won by Kilian Jornet) over on Reunion Island last weekend means that we have now seen three deaths in virtually as many weeks in the world of trail and ultra running. While some of these tragic instances are beyond a race director’s control, could others have been avoided? In a largely unregulated sport, is the quest for danger getting too much, or is it just the nature of the sport we chose to participate in and a risk that we should accept? The events in the Kimberly here in the Australian desert last year have also changed the landscape for trail and ultra running in our country. Just this week, GNW 100s race director Dave Byrnes sent out extensive details of his bush fire plan, the steps and processes he is going though and what competitors should do in the event that they are caught in a bush fire. While there is a much higher risk in Australia of bush fire than in many other countries where the challenges are different, the principles are just the same – do we need to have more regulation and anticipation of these potentially lethal events through a standard set of requirements that all race directors adhere to, or are we wrapping our sport too much in cotton wool? We put this and a number of other questions to four of the best in the business down here in Australia and New Zealand to get their views and thoughts on the matter. 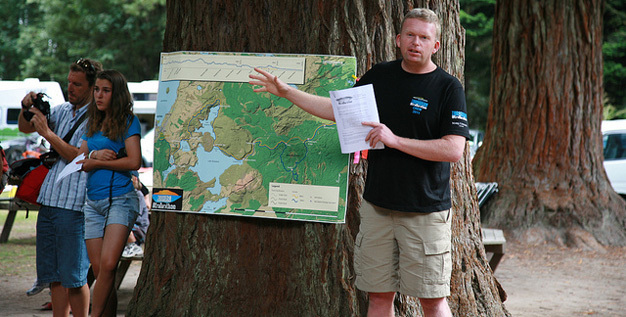 Andy Hewat (AH) is probably one of the foremost race directors around and his knowledge is pretty much unsurpassed as far as experience as a competitor and a race director goes. 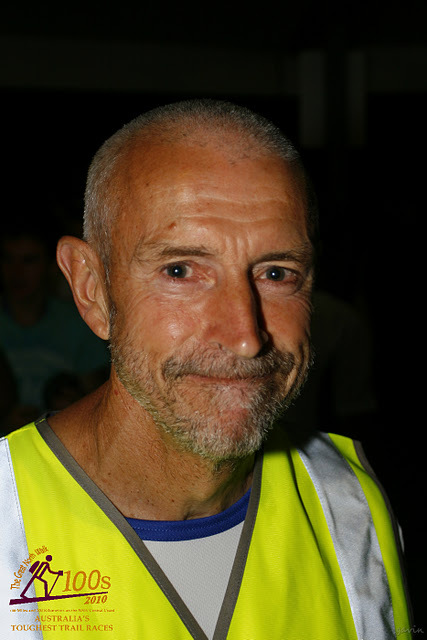 Dave Byrnes (DB) has gathered the reputation for having Australia’s toughest 100 miler on his books, and faces real challenges with bush fires this year at GNW. 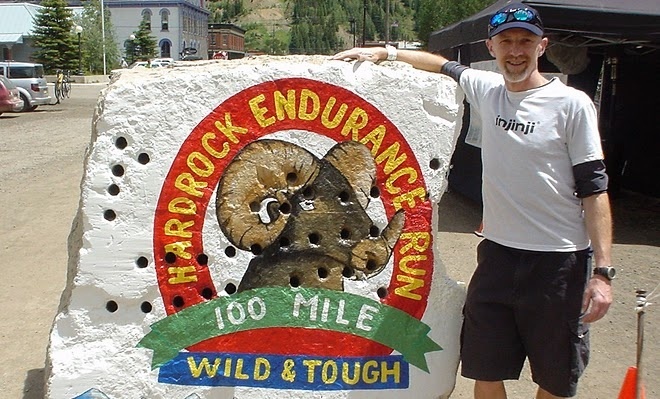 Paul Charteris (PC) is a highly experienced operator who has spent large chunks of time in the US and looking at the Western States system before coming back to NZ and starting the highly successful Vibrams Tarawera 100km. Finally we get a view from local Sydney guy, Sean Greenhill (SG) who stages a number of events in the Blue Mountains across both running and mountain biking. What safety precautions and planning do you personally have to consider as part of your race preparations? AH: I have to look at all areas from communications, sweeps, logistics, runner profiles, location, weather, medical cover, support, etc. and consider what level of service or functionality I need for all of these factors to make the race safe and viable. I have a professionally drafted Risk Management Plan that I finalise and update and then submit to the major stakeholders (generally Parks, DSE (which covers fires in Parks), local council, Police, Roads, Ambulance, etc). They return with any requests for changes which I implement. This is a comprehensive document that aims to identify all major risk factors and how to manage those. PC: Safety is the biggest part of the management plan for Tarawera. Since the event travels through Department of Conservation land, the event needs an independently (and professionally) audited safety plan before it can even proceed. The planning involves updating and communicating all safety aspects among key staff, hiring a safety manager, event doctor (who is an emergency specialist, paramedics and ambulances, aid station staff and mountain bike safety. DB: There are a whole host of things I have to consider, from snake bite through to runners getting injured on the course and because of the hot and dry weather this year so far, the risk of bush fire. I have prepared a very detailed plan of all the risks that could present themselves in the race, along with a very detailed bush fire plan too. SG: Communications in case of summoning emergency services, comms also to help track competitors around the course and road closures where need be. Several times this year, I’ve had to ring three or four emergency contacts after an event, because somebody’s DNFd and gone home without telling us. Not a phone call you enjoy making. What’s your biggest concern when it comes to the safety of competitors? AH: There is no single one biggest concern, I worry about them all big and small. The biggest risks are they are hypo/hyperthermia (exposure), hyponatremia and/or rhabdomyolisis, and potential injury from falls (broken bones or head injury). PC: For me, it is that there will be a life-threatening emergency in a remote location. The middle part of the course is accessible only by foot (or by boat in some other spots). An emergency in these locations would probably trigger a call-out from the rescue helicopter. This is the sort of stuff I genuinely lose sleep over. DB: Probably lost injured/ill runners, since it might be very hard to find them and get them help. I sense compulsory PLBs in the near future for the GNW100s. SG: A lot of the time, when operating in isolated country, a serious injury case could be hours away from a hospital. You have to be blunt with the competitors about this. It could take hours to bring them from the course if it’s inaccessible, then the ambulance has a long drive. Do you think safety requirements have gone too far in Australia / New Zealand? Are we too risk-adverse? AH: No. There are still some cowboys out there. The trick is to strike that balance. A good event will allow the runners to face risk but within the framework and boundaries of expectation of the race. Runners expect a level of support and back-up commensurate to the type of event. If you want to go beyond the level of risk available at any given event you can always pack your bag and do your own thing. PC: Not at all in my case. I take all the precautions and preparations to make Tarawera as safe as possible – and the race generally wears this responsibility rather than require the runners to carry all sorts of extra gear. Some runners who are used to races that have a laundry list of mandatory gear have called me “somewhat reckless with safety”. They’re not seeing the behind-the-scenes safety measures in place. The standard is very high in New Zealand, with the independent safety auditing system for events on Department of Conservation land, events held in these places meet very high standards. DB: Not so far. However, I do worry that fear of liability will lead to tighter restrictions and make it harder to put on events, financially and manpower-wise. It’s hard to generalise about safety standards at races, but I have never felt great concern about Australian races I am familiar with. However, I also have no doubt that a fatal accident could occur in any long-distance trail race, including the GNW100s. You can fall over on a relatively easy fire-trail and end up in hospital for a week (ask Blue Dog :)). There are places in most trail races where a slip could mean banging your head hard on a rock. It’s not difficult to come up with other possibly fatal scenarios. I just hope that when it happens there is not an over-reaction. SG: No, races are still plenty tough, but I’d rather plan thoroughly, and have good staff/ contractors, than be shown up in a coronial inquest. Also, bear in mind that a lot of competitors think they can take responsibility for themselves, but really they can’t. Quite a few don’t even read the race information that gets sent out beforehand. We’ve had quite a few races cancelled due to bad weather in the last couple of years. Bear in mind that much of the boom in number of bush races took place in an El Nino period, stable, dry weather. People aren’t used to seeing races cancelled or bad weather, which, really, is the norm. Do you think the events in the Kimberly have changed bush and tail running permanently? AH: Yes. No question about it. See my preliminary comments regarding the need for minimum safety standards. It will happen. There will be more regulation. It can’t be avoided. But those that have been doing the right thing hopefully won’t have too much more to add. We have been pretty lucky so far in Australia until the Kimberley disaster. People are more aware of risk now. Hopefully RDs are more aware of safety now. There is no excuse not to be. PC: The Kimberly events have aired on national TV here in New Zealand, so yes, there is a public awareness of them. They have not had any impact on New Zealand events as far as I know. If there’s an extreme fire risk at Tarawera, we will shut down the last 45km of the race and divert runners (via boats) onto a new track. DB: It has certainly raised consciousness and the authorities I deal with have asked for more detailed plans this year with respect to bushfire risk, which can be significant in our area. SG: I doubt the competitor will notice much difference, but some RDs may have gotten a wake up call from it. From an organisational perspective, I think the cancelling of Bogong mid-race last year was just as startling, and quite justified. Do you think participants understand your decisions sometimes? AH: There is definitely a higher awareness and acceptance by participants. There is still the occasional grumble but overall runners are pretty understanding of what is going on. I don’t think many have any idea of what actually goes on behind the scenes to get an event of quality up and running but appreciation is definitely growing. PC: Not always, sometimes runners will ring me up and chew me out for not having the required gear that other events have – but that’s about it. (btw – the most feedback I have ever received is the great cola scandal of 2010 when the race ran out of coke. I heard about that one for about 18 months). DB: Based on the feedback I have received to the Bushfire planning we have introduced, they are on the same page as me, i.e., they are in favour of reasonable precautions but don’t want the event stopped because of excessive risk-aversion. SG: Well, no one’s ever complained to me about a safety procedure, or complained about an entry fee when they see what it provides. In the last few weeks we have seen a number of events where there have been tragic deaths. Has this always been the case, but there is more media to report on the fact or is it a timely reminder that while the sport is moving forward, safety requirements are not keeping pace? AH: I haven’t had a chance to read up on the specifics but I am not at all surprised by these tragic deaths. Firstly look at the numbers of participants, the huge growth in participation and the explosion of events. Law of averages says that something will go wrong eventually. I haven’t looked at the stats but triathlon and marathons suffer their fair share of deaths. This despite comparatively benign environments. If you look at some of the European races held in hostile environments with little or no safety gear it is really just a matter of time before something goes wrong. PC: As the sport grows (and it’s still in a phenomenal growth phase) deaths will likely increase. These tragic events are probably just a reflection of more people getting into remote areas and pushing themselves. DB: I don’t want to comment on recent events. I think that drama in what are seen as extreme sports has always captured the media’s and public’s attention. We have to strike a balance between reasonable and unreasonable risks. Ultra-distance trail runners in wild and remote areas know there are risks (and I certainly highlight them for the GNW100s) but that is probably one of their motivations for doing the event in the first place. As technology improves – mobile/satellite phones, GPS’s, PLB’s, etc. – I’m hopeful that we can make events safer without making them less challenging. I also think that, over time, Race Directors make incremental improvements to their events that increase safety for competitors anyway. SG: It’s probably more to do with the big increase in numbers and events in the internet era. Unfortunately, more competitors means more chances for things to go wrong. Do we need a set of standard regulations that all ultra-races adhere to? AH: Yes, I am on the public record already as stating such. Like it or not, we will be under scrutiny from now on and some form of ‘industry’ standard will be necessary to measure up. Watch this space. PC: You’d definitely want to know that every ultra race has at least got a plan in place for risk management, emergency procedures, communication, staffing, briefings etc.. How things are implemented on the day will depend greatly on the terrain, access and length of the race and likely weather. So yes, standards are good – but implementation needs to be specific to each event. DB: It’s hard to say, without seeing what is proposed, because every race is different, often with different risks. I would prefer some basic guidelines or risk templates that would help race directors address the risks relevant to their race, rather than new regulations. SG: Very hard to say- the first year or two of a race you always find out what works, what doesn’t, and you make adjustments. Good risk management plans are never static. Race directors are only responsible for so much… it is the runners responsibility to make sure they are fit enough to complete the race, or know their body well enough to know when to drop out. The inheritant risks of pushing ones body to the limit in remote and challenging conditions are many and sometimes fatal, and this is part of the attraction for some. The ultratrend is gaining momentum, and the desire to add the ‘ultra’ as a prefix to ones existing (or not!) ‘runner’ title is so appealing to some that their own personal safety is forgotten about, in a chase for personal glory. In the rush to ‘do an ultra’ so many people seem unwilling to put in the hard yards in training over 2 or 3 years to build a solid base, mileage in the legs…… and a working knowledge of how your body copes… and how to sustain it over long distances and long hours. Trial and error are the key, and that’s something that takes time. Lots of time. Respect and intrepidation for these events are often ignored, replaced by excitement and ego (sorry!) to complete a 50k+ event. Yes, it’s exciting, exillerating, life-changing and character building…. but it’s also worth the wait, and worth all those unwatched hours of training that will make your first ultra enjoyable and satisfying. Totally agree here Vix – the goal of this piece is to showcase what our trusty race directors have to go through when it comes to safety. When races are canceled we hear a lot of groans and mumbles, and sometimes there isn’t always the appreciation as to what goes on behind the scenes.I agree though, preparation is vital on the competitors side as well, which is one of the reasons I don’t agree with some races not having entry standards. People should build up to these races, not fly into them with little knowledge. This is one fo the reasons why Ultra168 was created. You mention DB and the risk management for GNW that included the race cancelled if there was a fire ban in the area. This weekend just gone there was a fire ban, but plenty were still out on the course, knowing full well of the bans (numerous comments re same). Not saying whether the runners were right or wrong, but their decision to be out there was in conflict with the RD that is managing the race they are training for and on that course. I find it interesting that on the one hand runners can praise the RD decision, but at the same time be in conflict with it. I dont think you can take isolated incidents out of races and then apply them blanket style to all races. What has to be applied is basic risk management – what are the foreseeable risks and what are you doing to minimise / eliminate those risks. If we go the cookie cutter approach to risk management, you might find we lose races that cant comply. Lets pick a fairly innocuous risk management option – course must have vehicle access in case of runner evacuation. Now to the lawmaker that is a reasonable condition. But how many trail ultras would survive with that condition – GNW, Cradle, GOW, B2H? Crazy condition? maybe. What about vehicle access every 10km? How many of those races survive with that condition? Agree that more emphasis needs to be applied to the runner that is participating in the event. I think you can manage a lot of your risk with prudent qualification for races – age, experience etc. There are events out there that have zero regard for the experience of the runner and the payment of the entry fee is the extent of qualification. It will be a sad day when we are all wearing cycling helmets for a trail race……..
Let’s put that into perspective. The death on Reunion island was a fall at 3am on the second night. In 20 years, there has been 3 fatalities (2 falls, 1 heart attack) out of an estimated 100,000 people taking part in one of the 3 races. This is surprisingly low considering the terrain (insanely technical, steep and lots of cliffs I can tell you!) and the many hours in the dark (the start is at 10pm most people spend 2nights/1day or even 3 nights/2days on the trail). Hi iron frog, I’m referring to 3 fatalities in three different events in the last 3 weeks. But do accept your point about grand raid. The fact is that as participation numbers increase so do the odds. And race directors need those odds to be as low as possible… So yes in the grand theme of things it’s low, but any death is one too much if it can be helped. I have run in quite a number of ultra trail runs and am very aware of the risks so take the appropriate measures to minimise them. Being a good deal older than most if not all the other runners I know that I am at much higher risk of falls than much more agile younger competitors so I do a lot more walking along rocky paths. I also believe that with age one becomes a lot more susceptible to the effects of dehydration so again I now always carry extra water and Mg tablets. The point of this is that each individual must bear a lot of responsibility for their own safety. RDs can only do so much to minimise risks and to provide back up in case of emergency but competitors must ultimately be responsible for their own actions and safety. I am also an RD. Harking back to to when I was a member of the Canterbury University Tramping Club. The number of fatalities that occurred to our members (or their climbing mates) while at Uni or within about 5 years of leaving is scary. Two swept away by an avalanche, one suffocated in a tent swamped by an avalanche high up on a mountain as part of a mountain rescue team trying to save three climbers still tethered together on a rope (they also died), one blown off a mountain while sheltering in a tent on a mountain ridge and one by falling when free rock climbing. The latter was the only one that could have been prevented if he had used ropes. So trail running is a much safer sport than climbing in NZ was back in those days and probably still is. So the point of that is lets keep things in perspective. We cannot prevent accidents but we must do what we can to minimise the risks. I know of two Ironman Triathlons that have been cancelled or modified due to weather conditions and one marathon in addition to the Bogong race. I have competed in an Ironman Triathlon when temperatures reached the high 30’s during the bike and run legs. The organisers had drinks available at about every 3km all with an ample supply of ice. I wonder how close they were to stopping it. I think that Aura should work towards establishing safety guidelines for ultra events which should include minimum standards of prior experience based on the difficulty and the length of the event. I am sure that there is a wealth of knowledge and experience that can been provided to get this established. Current OH&S regulations give some useful pointers. Maybe another good question that could have been asked ,should there be an age/fitness cutoff for compeditors ? that question has been asked alot of lately , would be interested to hear from these race organisers what their thoughts are ? What a great post guys. 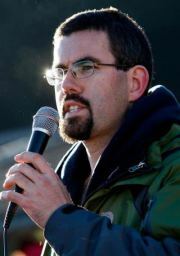 And a topic of interest that is in a large percentage of the long distance running community. Personally I see the risks as part of the scene- but times are changing as it becomes more of a commercially orientated sport and larger volumes of runners. Timely revisit to topical post! (can’t quite remember exactly). Anyways, I’m relieved I found it simply because your content is exactly what I’m looking for (writing a college paper) and I hope you don’t mind if I collect some information from here and I will of course credit you as the source.